We are pioneers in the U.A.E. We were one of the first to offer LASIK in the region and we are the first to offer Near Vision CK treatment and Corneal Cross Linking. Dr. Millicent Grim has extensive experience in the Gulf. Having conducted in excess of 10,000 consultations since the center opened in 2002, she has also performed over 5,000 Lasik operations in the Gulf region. We provide a comprehensive, thorough investigation before recommending an operation. In excess of 60% of our consultations we have found the patients to be unsuitable for Lasik and will then offer them alternative procedures. 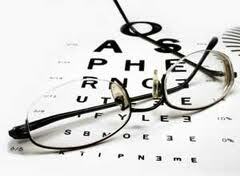 We have a highly experienced staff including two additional doctors of optometry who are permanently resident in the U.A.E. This will ensure that they are readily available for follow-up consultations. We use state of the art equipment which is constantly being upgraded to ensure that we can offer our patients the most appropriate treatment. We are pioneers in the U.A.E. We were one of the first to offer LASIK in the region and we are the first to offer Near Vision CK treatment and Corneal Cross Linking. We provide a comprehensive, thorough investigation before recommending an operation. In excess of 60% of our consultations we have found the patients to be unsuitable for Lasik and will then offer them alternative procedures.